I’m Bobby. Born on 14th February 2003 in a little of four boys. Two of us were kept behind and two of our brothers found freedom with some lovely families! I was named after Greyfriars Bobby. Yeah, I know he was allegedly a Skye Terrier, but it’s close enough for me. I’m certainly very loyal to Her. If I can’t find Her, I’ll run from room to room, making little whining noises until She lets me know where She is, then I go & keep her company. I’ve been a Show Dog – but that’s because He said the only reason He’d let Her keep us (that’s me & Finlay), is if She took up Dog Showing. I wasn’t “bred” for it, but I had a real good time. Qualified for Crufts twice, but only attended once – sooooo not the dog show you guys think it is. We’re not allowed outside to do any pees or poos. Have to do “them” in a sawdust pit! Can you imagine that, with our coats! Anyway once was enough for both me and Finlay – see his bit on his own post. Was a “Show Boy” for only a couple of years, but boy, did I learn some naughty stuff. Still not grown out of it, even now. So, She decided we’d do some Obedience Training. To see if that’d calm me down. For heaven’s sake, all I do is bark first at passing dogs, then sniff later. She said that’s so rude. I should introduce myself politely, like a gentleman, in fact like Finlay and Gus – but hey! where’s the fun in that! So Obedience Training for me. Boy was that good! Thoroughly enjoyed myself. Every Friday night for three hours learning stuff (nothing about being polite, like She wanted me to learn, but I managed to control myself as I got to know all the other dogs). Started when I was 3 and a half, and spent 3 years doing it. Progressed right through the Bronze, Silver, Gold Awards, but chose not to stay on for the Platinum classes. 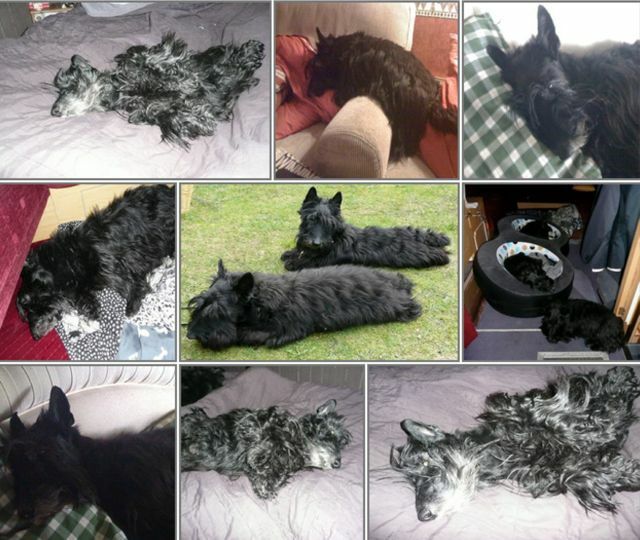 By that time I’d been invited to do a demonstrations to a Scottie Club. What? 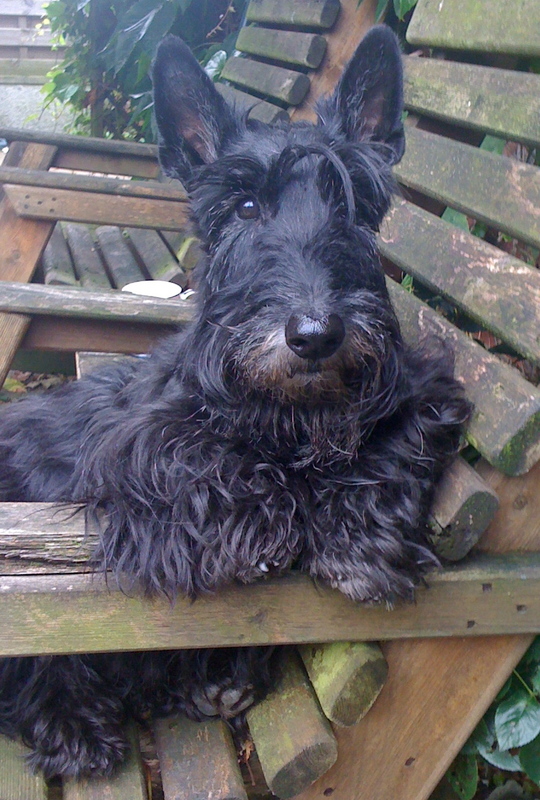 A trained Scottie? Apparently there are quite a few of us out there! I’m now retired from all that obedience stuff. But every now and then I get Her to go through a few moves with me and let me tell you – I can still do it! Anyway, my time’s now spent patrolling our gardens; taking daily walks around our local countryside (still rushing up to other dog, barking like a mad ‘un!!) and thoroughly enjoying my life. You’ll get a glimpse of my character through these postings we do. Thanks for catching up with me ….. see you around our site!